You want to love the colours that surround you. So when imagining a room, remember the influence colour will have on the mood of the space. The effect may be subtle or dramatic. 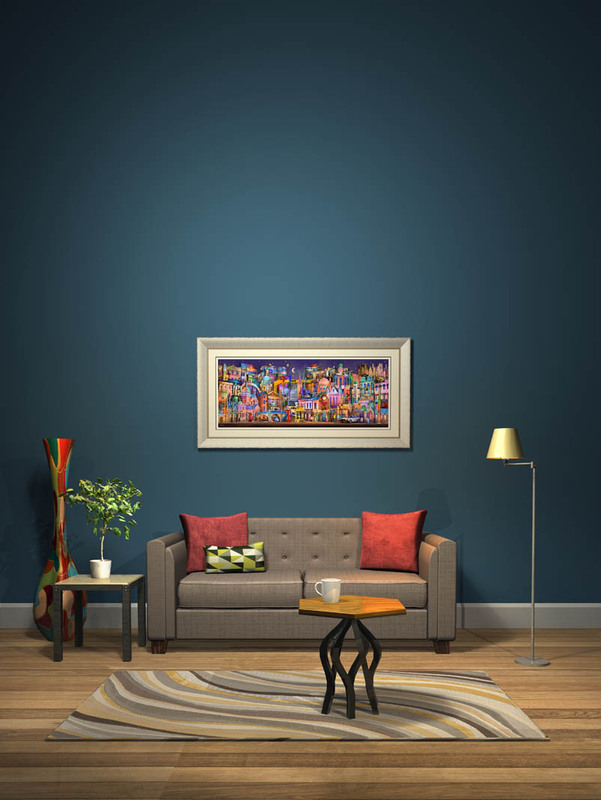 It can encourage tranquillity or boost energy, colours can even make you feel optimistic or more introspective.Here we help you visualise colours and how best to frame our art in these environments. Their light airy qualities are uplifting and accentuate space. 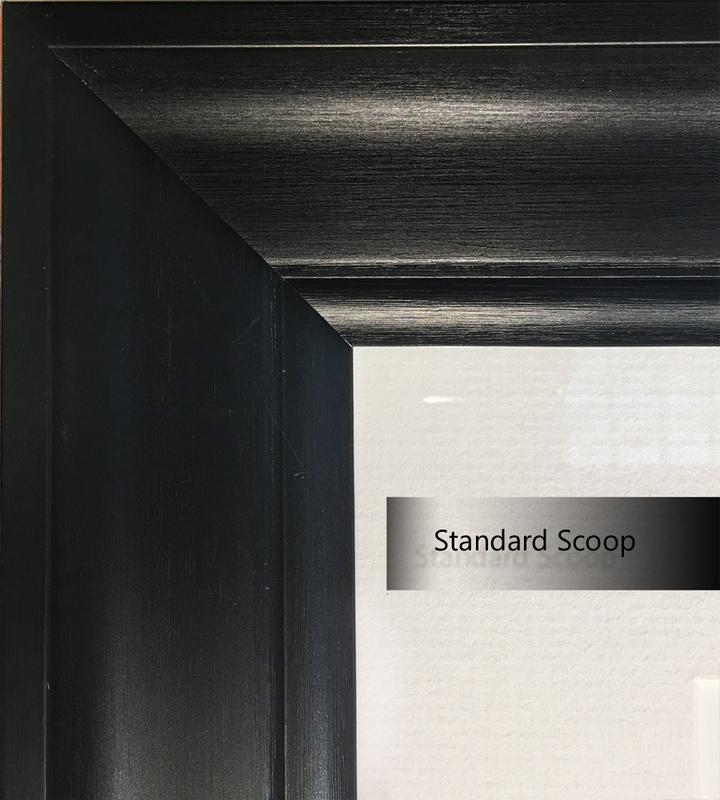 Use contrasting frames in black to create sharp definition. Double mounts are not necessary although they do add depth to an artwork. The frame shown here is a Black shoulder frame with a double mount. Available to select on our shop page. Nuanced earthy colours are comfortable and grounded. Black frames still create contrast but light coloured frames begin to make a contrast with darker neutral walls which are popular today. The frame shown here is a pewter shade but has a dark outer edge combining the best of both worlds. 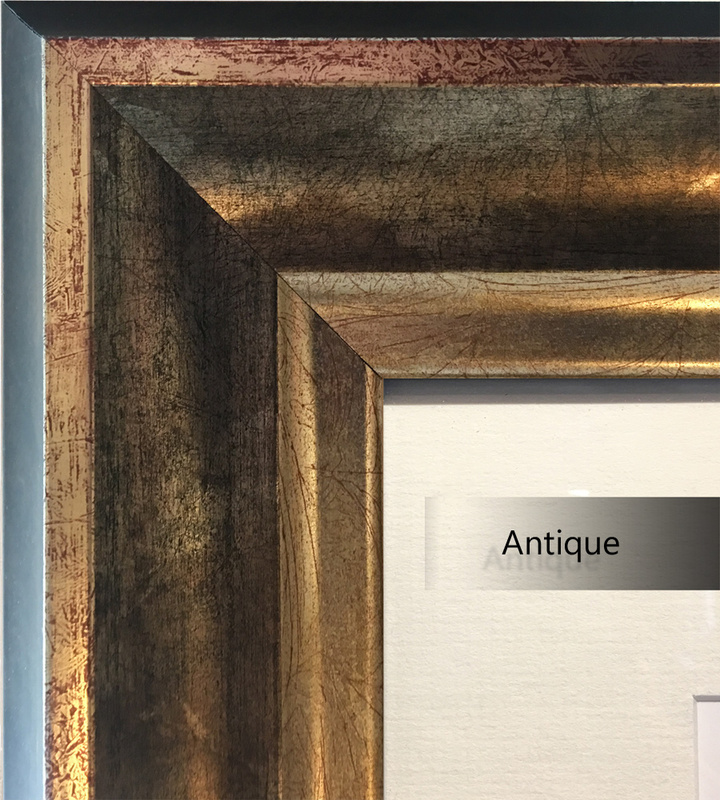 The frame shown here is a Gunmetal antique silver frame with a double mount. Available to select shortly from our shop page - but available now if ordering by phone. Deep colours bring drama to a room which are rich and mysterious. Accentuate their colour by using frames with strong contrasts such as white on a red wall and silver on a blue wall. 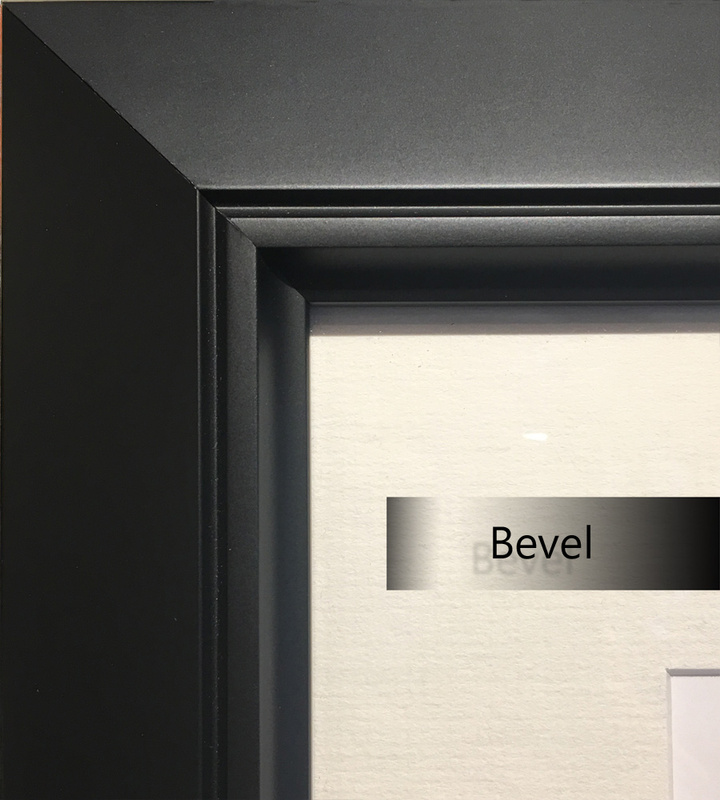 Double mounts in black help create definition and contrast between the artwork and light coloured frame helping to frame the entire piece. The frame shown here is an Andover frame with a double mount. Available to select on our shop page. We are pleased to announce we offer free shipping for framed artworks throughout N.Ireland and Ireland, for UK mainland deliveries we offer shipping at a subsided rate of £19.75 per cart - so you will never be charged more, regardless of the number you may order. Unlike framing stores and galleries we specialise in only our own artworks. This means we select frames that we think are the most suitable for our pictures rather than a range which will suit various artists and styles. 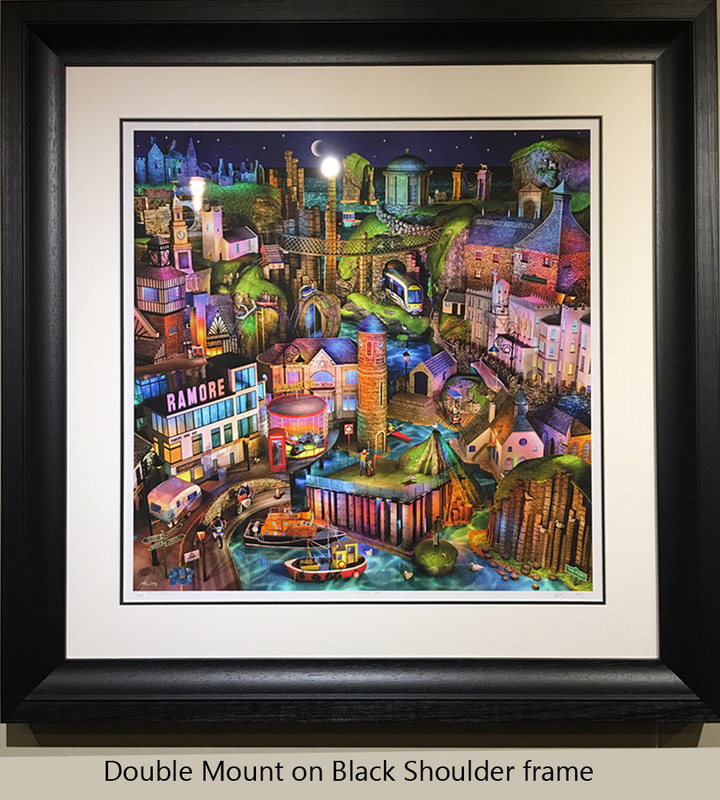 Unlike some galleries we do not use budget frames as standard as Keith prefers all his framed pictures to leave the studio meeting a minimum standard, so we simply absorb this cost to ensure that even our standard frames are that little bit special. To assist your purchase on our shop page you will see an illustrative preview of the frame and mount you have selected before adding to your cart. This preview is simply illustrative but you can see actual photographs of the various frame options on this page. 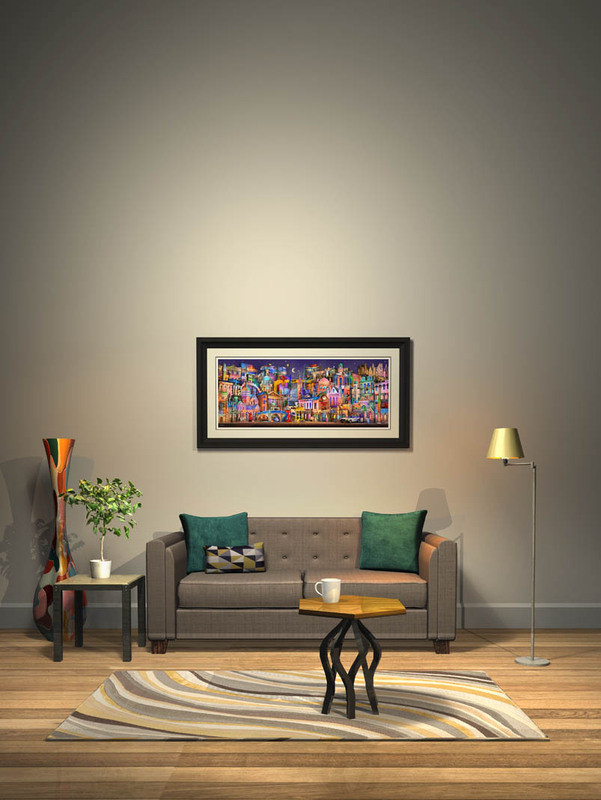 For framed artworks which are shipped by courier we glaze them with plexi glass which has the added benefits of increasing colour intensity, lightness and shatter proof qualities. For extra intensity we further polish the plexi glass with chemicals used the in the aerospace industry for a crystal gloss finish. Treated Plexi glass can also be ordered for artworks collected from the studio for a small additional price.